My summer veggie garden is in full swing and there is plenty of tomatoes, capsicums, eggplant, zucchini and okra. If you do not have a veggie garden you will probably have been seeing them at reasonable prices at your farmers market. Stewing these summer staples is another way to showcase their flavour than yet another salad. 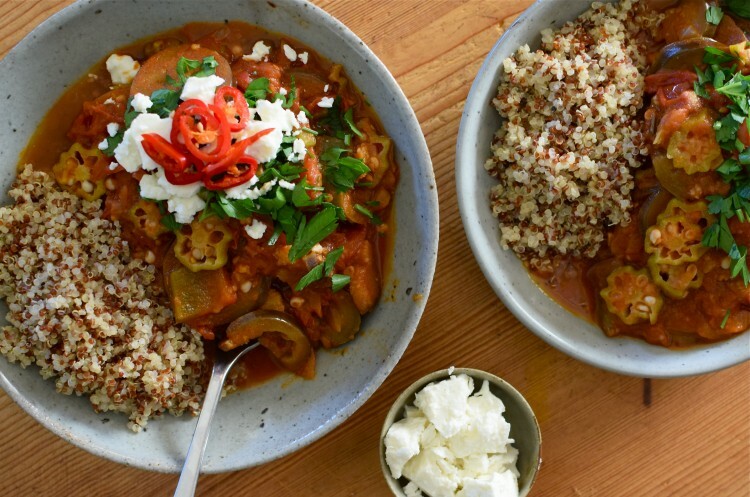 Hot or cold this stew is amazingly tasty and nourishing.